While the use of unconventional ingredients in skin care isn’t anything new, one in particular might have consumers raising their eyebrows…at first. Incorporating snail slime in cosmetic formulations and skincare products is a trend sweeping the global marketplace. Beauty brands are including snail slime in products such as face masks, sheet masks, cosmetics, night creams and more. You know that silvery, slimy trail (also known as Helix Aspersa Müller Glycoconjugates) that a snail leaves behind on surfaces as it crawls along? Yup, that’s exactly what we’re referring to here. Because snails have soft, porous bodies, they tend to dry easily which is why they produce slime – to keep their bodies hydrated and healthy. The snail slime used in skin care products and cosmetic formulations comes from farmed snails. While different suppliers use different methods, a key part of the process is to stimulate the snails so they generate slime. As such, products made with snail slime are typically not accepted by vegans. For many, picking up a beauty product labeled: snail slime, may not sound appealing. But, its anti-aging benefits most definitely do! Snail slime, also known as Mucin, has been a popular ingredient in K-beauty products for years. The rest of the world is now embracing it as a key ingredient to help boost skin vitality. 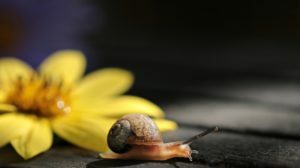 Studies have shown that snail mucin even helps with wounds and other skin lesions. The extract is also said to have positive effects on acne scarring, acne prevention, dryness and hyperpigmentation. 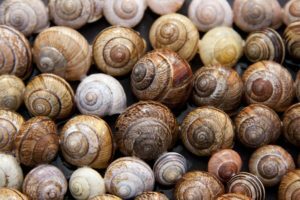 A study published in the Journal of Drugs and Dermatology demonstrated that with a daily application of topical products containing snail secretion, fine lines and wrinkles were significantly reduced. At Kinetik, we stay on the cutting edge with trending ingredients, like snail slime for cosmetic formulations. So, when your brand calls for something innovative and natural, we have you covered. Let us help you discover the perfect formulation! Kinetik is headquartered in the USA, but we work with clients and represent suppliers worldwide. Contact us at (732) 335-5775 to speak with one of our sales representatives about ingredients to support your innovative cosmetic formulations today.